➡All our stories are Digital Ready. Students can highlight/annotate the text on a computer. ✅A 2nd organizer for teaching close/active reading/annotation is included. 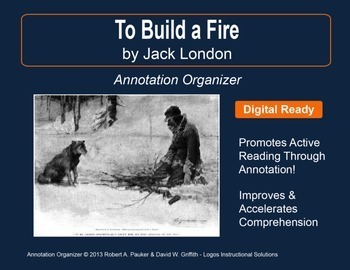 "To Build a Fire" by Jack London is part of our Short Story Annotation Series designed to improve annotation skills, bolster reading comprehension, and cultivate literary appreciation. 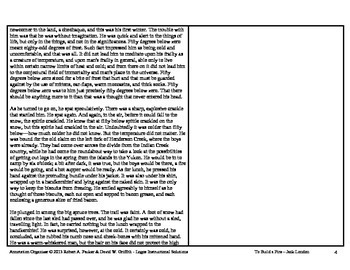 The "Side-by-Side" Annotation Organizer includes the complete short story and is designed with ample space beside the text for student annotations and teacher comments. 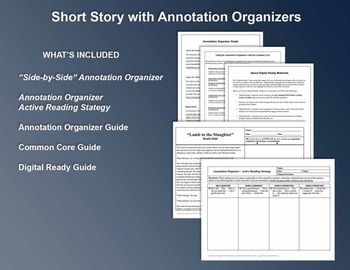 This is a simple organizer that can be used for many different teaching situations, from basic annotation instruction to the development of independent student annotation. It can be used with any type of text, including poems, short stories, novels, or nonfiction. All student materials are Digital Ready. Students can use a computer to enter, edit, highlight, and save text directly in special areas in the PDF document. The documents can also be uploaded to services like Google Classroom, Edmodo, and Blackboard for students to download. The Side-by-Side Annotation Organizer supports several Common Core Standards (CCSS): CCRA.R.1, CCRA.R.2, CCRA.R.4, CCRA.R.9, & CCRA.R.10. ✋ NEED MORE THAN ONE SHORT STORY???
. . . AND SAVE OVER 90% OF THE COST OF BUYING THESE STORIES SEPARATELY!! Our best-selling product. Over 100 short story options at your fingertips to use with your students. 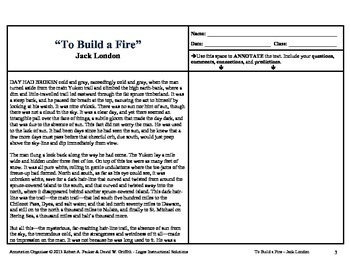 "To Build a Fire" full text by Jack London is included for free.